Kaycee looked around at her new school. America was a lot different than Ireland. First off, the girls wore their hair in strange curves and curls, and squealed over them like they were a big deal. Kaycee's darkish red hair was straight. The boys shaved all of their hair but one thick line in the middle, making them look awkward. And another thing, the big cities and buildings. Ireland, at least the part where Kaycee lived, was peaceful, quiet, and almost always sunny. And, the best of all, she had all the room for a big, beautiful horse. 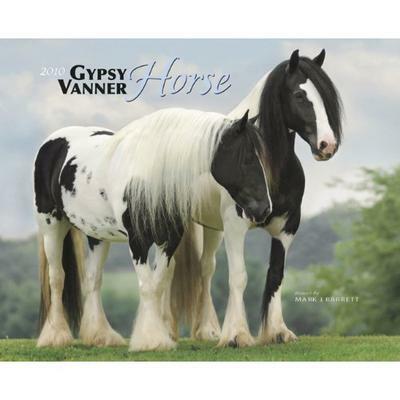 Back in Ireland, she rode a beautiful paint breed called a Gypsy Vanner. It was her favorite breed - in fact, it was the only breed of horse she had ever ridden. She would visit a friend's farm almost every day and work for them, taking the Gypsies on their strolls and exercising them and her favorite, hitching her two favorite Gypsies up to a small little wooden chariot and drive them all through her town, waving hello to neighbors and stopping under the shade of trees to enjoy the beauty, and give the horses an apple or two. But those days seemed long gone now. An epidemic had spread through the stables, and many horses died, including Kaycee's favorite team of Gypsies and their prized horses. They went out of business, and the once beautiful stables, now, were covered in dust, signs that said 'Doneen Hills Gypsy Farm' were falling off, the sides of their once freshly white painted barn were scraped with mud, and the beautiful, lovely field had turned into a graveyard. Every day Kaycee would visit the graves of Clyde and Ace, her favorite team of Gypsies. The farm closing down made a big change in her life. She didn't want to do anything anymore, so she would just sit and stare out the window most of the time. That's when her parents declared that they all would move to America. Kaycee snapped from her memories when she realized what she was supposed to be doing. She quickly walked to where she was supposed to be going. Her first class. She plopped down in a seat between two curly-haired girls. They exchanged looks to each other, and they didn't look happy that Kaycee was between them. Kaycee looked around to see the teacher wasn't in yet. The two curly-haired girls crossed their arms, then one finally spoke. "Uhm, that spot was reserved. For Amanda." Kaycee looked around. "Oh. Sorry." She giggled, and got up, when she bumped into another girl. "Uhm, what are you doing in my seat? Move!" The girl pushed her away. She had black hair, also curly, was carrying a purse, wearing a pink skirt with violet leggings, violet blouse, with blue eyes. Kaycee was wearing a t-shirt and blue jean shorts, with her school materials and her dark-ish red straight hair, with her bright green eyes. "I said sorry." Kaycee sighed and plopped down in another empty spot. Maybe this one wasn't reserved. The whole class chatted, while Kaycee got out a sheet of paper and doodled two Gypsy Vanner horses, that looked like Clyde and Ace. She then sighed, and wished she could return to Ireland, to say one last goodbye. But here she was. A guy about her age, 14, walked up behind her and gave her a punch on the shoulder. "Hey, look, dude. We got a newbie." She turned around to look at him. He had that weird hairstyle most of the boys were wearing, and he looked like he never showered. And he smelled like sweat. Kaycee mumbled something, and went back to her drawing of Clyde and Ace. She had just finished Clyde when the boy took the drawing, crumbled it up, and tossed it to another guy. "Hey! Give that back!" Kaycee stood up. "You gotta catch it." One taunted. Another laughed and pointed. "What is wrong with your accent?" He made a joke out of it. They tossed her drawing back and forth until one finally threw it in the garbage. "Yeah, slam dunk." They walked to their seats, high-fiving. Kaycee sat there and sulked, her head in her hands when the crumbled up piece of paper was tossed back in front of her. She looked up to see a boy with a nice haircut, a nice smile, and bright blue eyes. She smiled back up at him, totally speechless. "Don't pay any attention to those guys. They'd sell their own mom for a grape." He laughed. Kaycee just nodded, with that same grin on her face. He walked off. Kaycee was left there, thinking, "Wow." She then snapped out of it, and went back to her Clyde and Ace drawing. Sorry if any part of this story is offensive to anyone who lives or comes from Ireland, I have no idea what it's like, I just heard a really pretty song from Ireland one day and I got an idea. If any part of this story is offensive, please do tell me. Also in the first picture (Kaycee), the photographer and person are unknown. In the second picture (Clyde and Ace), the photographer is Mark J. Barrett, I think. That's the photo credits. I've never been to Ireland, but I have friends there and they're definitely not in the dark ages. They have curling irons and Internet and communicate with the rest of the world- no one Irish would come to America and be like "oh my god wHAT is up with your hair??" • The girl in the picture that's supposed to be Kaycee has, without a doubt, straightened hair. No one's hair grows that straight. • Kaycee is a Mary Sue, which means that she's an unrealistically perfect or idealized female character with no obvious faults, probably a mirror of the author. • Your story has promise and you're a pretty good writer, but in the future, you should probably research and plan more before starting a multi chapter work. OMGosh!! Awesome!! I love it so much! you have to make chap 2! Thanks guys! I will definitely have Chap. Two up soon. Glad you like it! Great story! I can't wait until you do thre next chapter! I'm really into horses and i hope you are too! Continue please! I am wondering how you can get horses into a city girl's life? You have got me hooked on this story!!! I love the way how u describe the characters and the plot is really impressive. Please continue!! Oh, and by the way, love the photos!